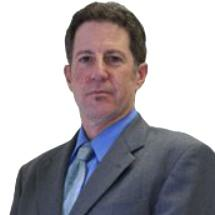 Clifford Levenson, Attorney at Law, is located in Phoenix, Arizona. He and his law firm focus on criminal defense, family law, personal injury, immigration issues and bankruptcy, all of which types of issues often create life-changing circumstances for his clients facing them. Attorney Levenson prides himself on providing people in the Phoenix metroplex, especially those who feel they have no voice, with the best possible legal representation. An Arizona resident for the past 37 years, Cliff Levenson earned his Juris Doctorate and his Certificate in Environmental and Natural Resources Law at Northwestern School of Law of Lewis and Clark College in Portland, Oregon. Returning to Phoenix after graduation, he served as a public defender in Navajo and Maricopa counties for a number of years before ultimately establishing Clifford Levenson, Attorney at Law. He is licensed to practice in all Arizona courts and is a member of the bar in both Arizona and Oregon. Attorney Levenson is dedicated to helping regular people who face serious and stressful situations and need skillful, assertive, personalized legal assistance to see them through their difficulties. His law firm provides free initial consultations and accepts credit cards for his clients' maximum convenience.